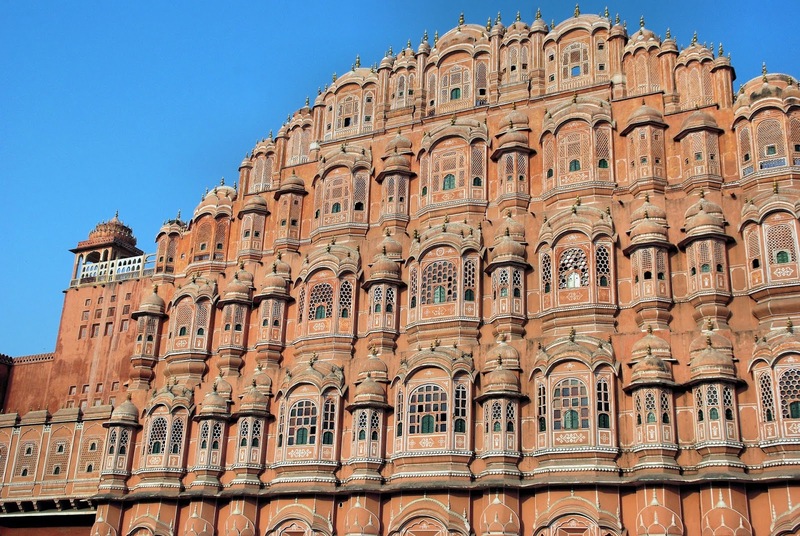 Jaipur is the capital of Rajasthan and is the largest Indian state in the Northern India. It is popularly known as Pink City and have various popular places to visit. Jaipur was founded by Jai Singh II in 1772. It is a home of about 3.1 million peoples. It is a gateway for various tourist places and it is also a famous place for tourists also. The people of Jaipur are very friendly and are always eager to help each other in every aspect. The Rajasthani culture can easily be seen here with a mix of modern civilization also. As Jaipur is famous for forts and castles. On the top of our list of famous places is Amber Fort. The beauty of this fort is cannot be explained in words. It is located on the top of the mountain of Amber city. It is constructed of red stone and marbles. Thousands of visitors visit this spot monthly to enjoy the ancient beauty and there is also a beautiful garden near it. There is also a hall named ‘Sheesh mahal’ or palace of mirrors in amber fort which is designed in such a way that every single beam of light entering in it can illuminate the entire palace. Visiting Hours: 8:00 a.m. to 5:30 p.m. It is also known as the palace of winds. It is one of the most visiting famous palace in Jaipur. Build by Maharaja Sawai Pratap Singh in 1798. It is a 5 storey building having 953 small windows in it. It was designed in such a way that cold breeze can any time enter in the palace irrespective of time and the other reason to build this palace is to avoid strangers to see their royal women from outside. The entire palace represents the crown of Hindu god Lord Krishna. -For Foreign Nationals: 50 Rs. 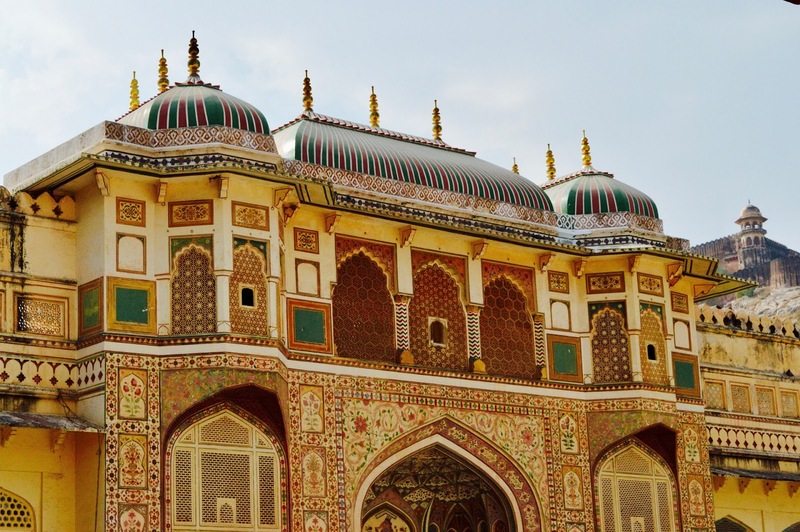 It is a fusion of Mughal and Rajput style of architecture. Entry inside the Palace is prohibited but view from the bank side is very beautiful at the time of sunset and sunrise. It is located in the center of Man Sagar Lake which make it a unique place inside the lake. Covered with the Aravalli mountains from all the three sides makes it a beautiful destination and various type of flora and fauna can be easily seen here. Earlier, there were boats which were used to enter inside the palace but now it is closed to view from inside. Nahargarh is a very beautiful place to get a very great panoramic view of Jaipur. Rooms of this fort are connected with common corridors and are decorated with paintings on the walls. It is a very good place for summer vacations and one can enjoy a picnic there with a great view. There is also a hotel on Nahargarh palace and one can enjoy the royal food there. Visiting Hours: 9:30 a.m. to 5:30 p.m.
Jaigarh Fort is the fort of victory constructed in 1726 by Sawai Jaisingh II. The Fort is covered with red stone walls and watch towers are made in with which covers about 3 Km. The water storage system, grainers present in the Fort are a great example of ancient science and technology. There is the world’s largest canon place here named ’Jaivana’. City Palace is an artwork of Mughal and Rajput culture. Located at the heart of Jaipur, it gains place in the list of visiting in Jaipur. The entrance of this Palace is beautifully decorated by peacocks on both the sides. 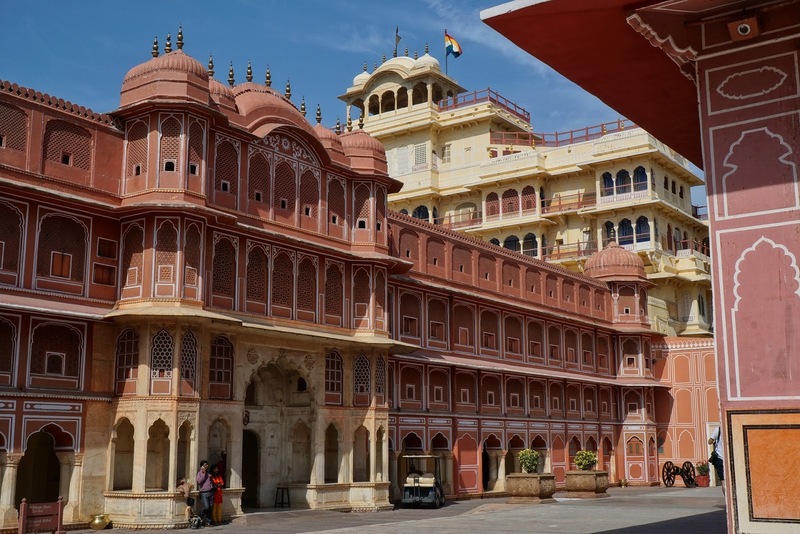 Constructed during 1729-1732, under the supervision of Maharaja Sawai Jai Singh II, the City Palace boasts of very minute detailing. Chandra Mahal and Mubarak Mahal comprise the major portion of this palace. Udai Pol, Jaleb Chowk, Tripolia Gate and Virendra Pol are the entrances to this palace. Embossed with fine artworks and engravings, every corner of this palace is filled with immemorial imprints from the past. The entrance to Chandra Mahal is adorned with enticing peacock gates, which depict the four seasons and Hindu Gods through its splendid artworks. Diwan-i-Khas and Diwan-i-Aam of Mubarak Mahal served as gathering places of the Royals. Both of these halls are ornamented with crystal chandeliers. A portion of this palace has been converted into a museum, depicting the elegance of the Rajputs and is open to the public. 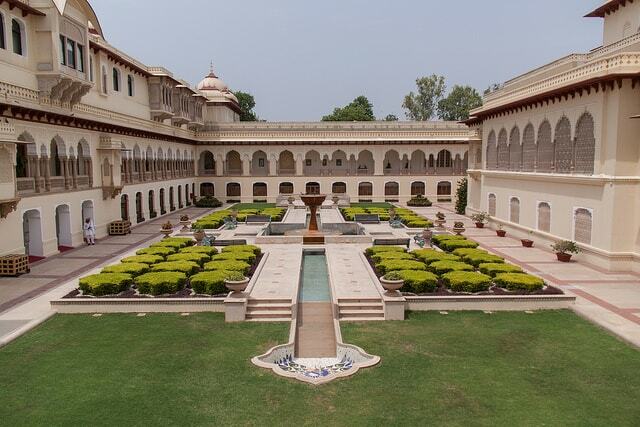 Maharani Palace and Baggi Khana are the two most striking museums among these. Maharani Palace, which was once the royal hall of the Rajput queens, now displays the weapons and ammunition used by the Royal Family. Baggi Khana showcases the different carriages used by the Royal Families of Jaipur. Note : Photography is restricted at specified areas inside the palace. The world famous Birla Mandir temples are located at different cities of India which are quite prominent in all sorts. Birla Mandir in Jaipur is located on the base of Moti dungri hills having a significant place among the beliefs and traditions of the locals and recently, it has gained more power as a superior tourist destination as well. The Birla family is the reason behind the existence of multiple Hindu temples made of white marble or in red sandstone at different locations in India. Entry timings: 06:00 am to 12:00 pm and 03:00 pm to 09:00 pm on all days of the week. Entry fee: no entry fee is applicable. Jaipur dearly holds a great Vaishnava temple, commonly known as Govindji temple or Govind Dev Ji temple located in the City Palace complex. The temple is dedicated to Lord Kirshna and it considered to be one of the 7 major temples of Thakur of Vrindavan. The image of the deity came to this temple from Vrindavan through aja Sawai Jai Singh II. But the temple was built by the renowned and powerful Mughal emperor Akbar. Entry timings: from 04:30 am to 11:30 am and from 05:45 pm to 09:30 pm on all days of the week. Darshan will be during the time of aarti. Now it is a hotel which comes under Taj. The palace is located 8 kilometers away from the city of Jaipur on Bhawani Singh Road. It is a marvelous example of the architectural brilliance and the fine artistic values. The palace depicts the unique blend of Mughal and Rajput architecture. The first building on the site was a garden house came into existence in 1835 and in 1887, it was converted into a royal hunting lodge as it was surrounded by thick green forests during that time. 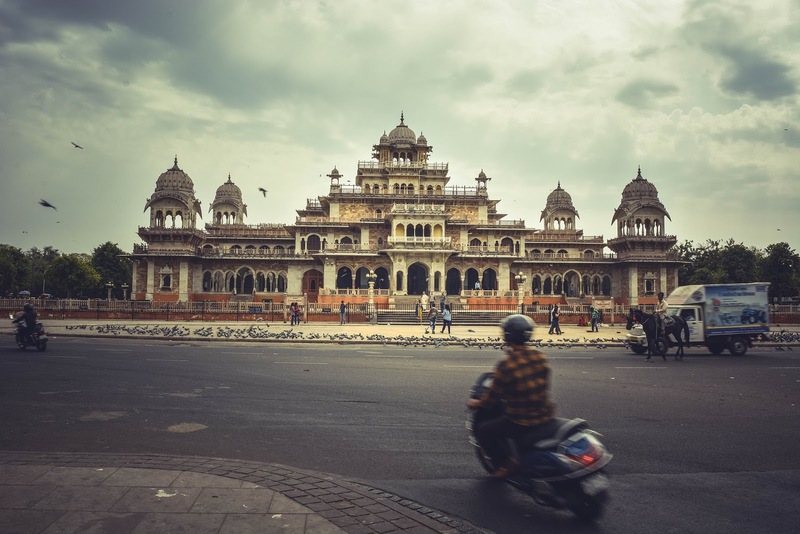 But in early 20th century, the building took transformation again and became an astounding palace as per the designs of Sir Samuel Swinton Jacob. Then, Maharaj Sawai Man Singh II made the palace as his principal residence and started adding a number of royal suites to it in 1931. In the beginning stage, Albert Hall Museum displayed the products of local artists and craftsmen. With passing centuries, collections in this museum have increased to a great extent and have brought this museum to international level. This museum is also home to one of the six ‘Egyptian Mummies’ in India. This Mummy was gifted as a souvenir to the museum by the Brugsch Bey of the Museum of Cairo. Visiting Hours: 9:00 a.m. to 5:00 p.m. While travelling across various places in Jaipur, you might miss out the chance to enjoy certain festive celebrations of Jaipur. If that is the case, you do not have to worry anymore! Just visit Chokhi Dani (Famous Place) and witness the liveliness of Jaipur’s celebrations, as the celebration never stops in Chokhi Dhani! 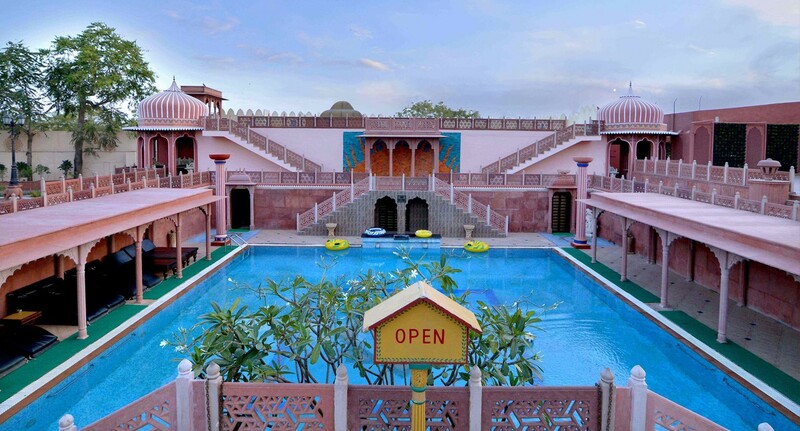 Chokhi Dhani is one of the best village resorts in Jaipur. Restaurants in Chokhi Dhani serves traditional Rajasthani foods that can make your appetite grow larger than you can ever imagine. While the folk music and traditional dancers will make your feet tap to their rhythm, health club, swimming pool and spas in Chokhi Dhani will help you relax your mind. While in Chokhi Dhani, you can also witness the popular puppet shows of Rajasthan. Bermuda Triangle Band: A Mystery or something else?